The AAMC (Association of American Medical Colleges) announced today that David A. Acosta, MD, has been named the association’s new chief diversity and inclusion officer after a nationwide search. Acosta is currently senior associate dean for equity, diversity, and inclusion at the University of California (UC), Davis School of Medicine and associate vice chancellor for diversity and inclusion and chief diversity officer for UC Davis Health System. He will join the AAMC on Feb. 27, 2017, succeeding Marc Nivet, EdD, who served as the association’s chief diversity officer from 2010 to 2016. In his new role, Acosta will provide strategic vision and leadership for the AAMC’s diversity and inclusion activities across the medical education community and will serve as a national representative on related issues. 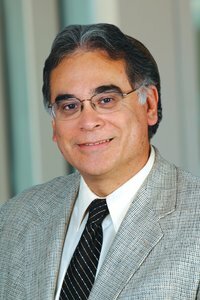 A physician of family medicine, Acosta previously served as the inaugural chief diversity officer at the University of Washington (UW) School of Medicine, where he established a rural health fellowship program for Tacoma Family Medicine, a residency program affiliated with the UW Department of Family Medicine. He also led development of the Center for Cultural Proficiency in Medical Education at UW School of Medicine, which was funded by the National Institutes of Health and received a Washington State Association of Multicultural Education award. Acosta is a member of a number of national organizations, including the American Academy of Family Physicians, National Hispanic Medical Association, National Alliance for Hispanic Health, and the National Association for Rural Medical Educators. He has served on various AAMC committees, including as a member of the steering committee for Group on Diversity and Inclusion from 2009 to 2015 and as committee chair from 2011 to 2013. He served on the AAMC Comprehensive Medical College Admission Test® (MCAT®) Review Advisory Committee from 2008 to 2011. Acosta received his bachelor’s degree in biology from Loyola University and earned his medical degree from the University of California, Irvine, School of Medicine. He completed his residency training at Community Hospital of Sonoma County in Santa Rosa, Calif., and a faculty development fellowship at the UW Department of Family Medicine.